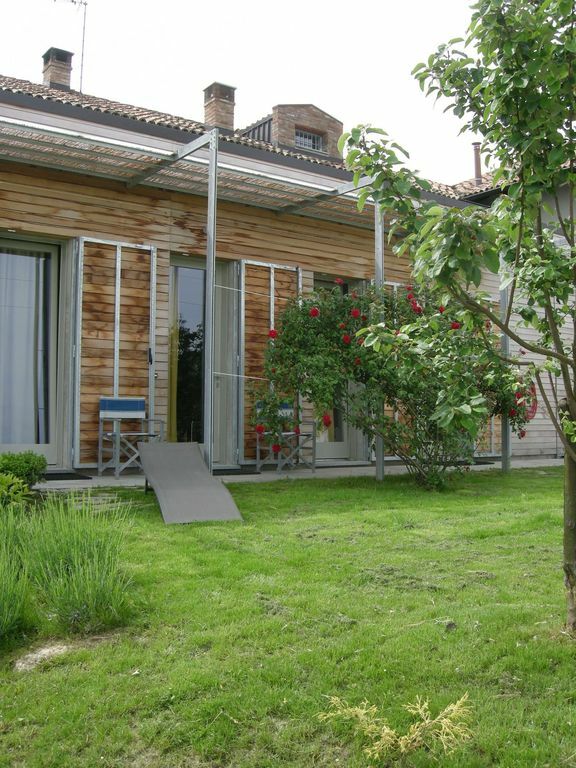 the house is the expansion of an old farmhouse, known as 'ca of reggio', placed on top of a hill. it is a part of the building is contemporary and elegant, independent of the old part, with appurtenant garden. the house consists of a living area with kitchenette, 2 bedrooms and 2 full bathrooms (sink, toilet, bidet and shower. The beds are 5: 2 in the master bedroom, 2 in a double room (if you want double) and one in the living area. cà of Reggio has a full kitchen (gas hob with extractor, fridge, dishwasher, oven, living area equipped with TV and Internet access and a garage laundry with washing machine. outdoor spaces are available for outdoor parking and an area for hanging out. Great place with everything you need. Marco is a great host. Nice spacious modern appartment with character. Beautiful views and lovely helpful owner. We'll be back! thank you so much. see you next time! Wonderful location in the middle of vineyards and everything was as advertised. Our host, Marco, was most gracious and helpful. Of our three stays in northwestern Italy, this was by far the best. And we didn't have to go far for dinner as there was a local restaurant/pizzeria a couple of kilometers away that was very good. thank you Judy, I'm very happy for your opinion! Excellent location and apartment from which to explore Piedmonte! My husband and I travel every year to Italy and rent 3 different apartments in 3 different areas. gated and so parking is easy and safe. I'm very happy for your opinion. I hope to see you soon at cà d'Reggio. Uns hat die Ferienwohnung sehr gut gefallen. Sie liegt etwas nördlich von Canelli inmitten des Piemonts, ist sehr ruhig gelegen und hat fast den Charakter eines separates Ferienhauses. Ganz toll! Die Wohnung ist gut ausgestattet und sehr sauber, hat zwei Schlafzimmer und zwei Badezimmer. Bis Canelli zum Einkaufen fährt man ca. 5 Minuten. Leicht erreicht man auch Asti, Alba und andere Highlights des Piemonts. Marco, der Vermieter ist super nett und kümmert sich um alles. Ich kann diese Unterkunft nur empfehlen! thank you very much, I hope to see you again! Great house, designed to stay cool when hot outside. Quiet, with a nice garden and lovely views over the vines. thank you! I'm happy you liked home and territory!